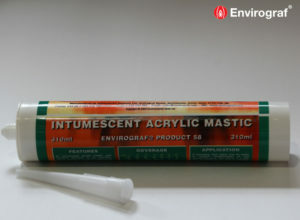 A buff or pink coloured ready-mixed intumescent cement filler that sets hard without cracking. In a fire, it will expand to five times its original volume. 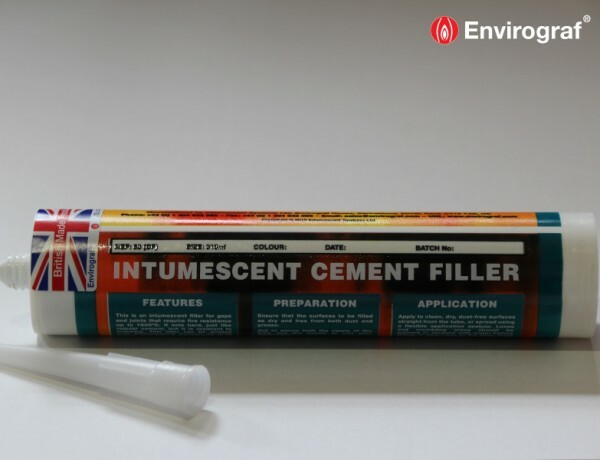 Envirograf® Intumescent Cement Filler can be applied directly into holes and gaps using the 310ml tube then a trowel or spatula can be used to smooth surface. 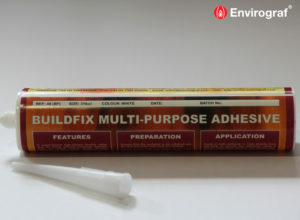 Alternatively it can be applied using trowel or spatula. When dry, it becomes hard like cement and can be painted over. 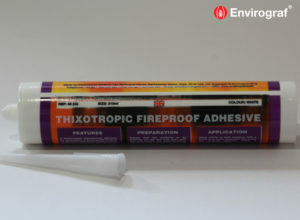 Minimum order quantity of 25 x 310ml tubes required for the pink colour option. Tested to BS476 Part 22 (1987) in conjunction with PVE/A Foam (Product 44) around cables and pipes, achieving integrity of 130 minutes.